BEAUTY SPRAY 15 works energetically on the skin, both on the surface and in the deeper layers, even as profoundly as the joints. The spray stimulates the flow of all fluids in the body. As a result, more oxygen and nutrients are supplied via the blood and more waste products discharged via the lymph. As people age, the elasticity of their skin changes. This is the result of natural processes in the cells, whereby the ends of the chromosomes shrink. 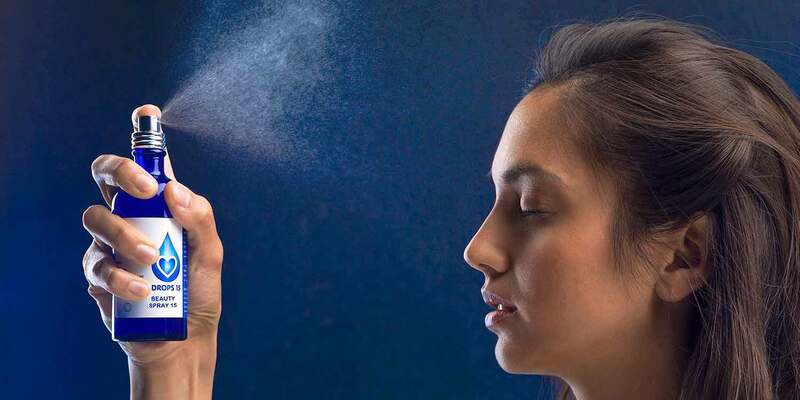 BEAUTY SPRAY 15 reverses these changes so the cells can start to rejuvenate energetically. Over time, you can see the effect of this on the skin: the skin cells tighten once more; the skin starts looking younger and more radiant. Blood circulation improves in the muscle cells, muscle tone improves and joints become more flexible. In short, you feel younger and fresher. Every time you use BEAUTY SPRAY 15, you turn the clock back. A real anti-aging spray! BEAUTY SPRAY 15 is great used in conjunction with AURA SPRAY 15. Then both your physical and your energetic body are purified and rejuvenated energetically. Spray on your face at least twice a day, after cleansing and whenever needed. Use as needed on other parts of the body, hair and joints. Pure water to which specific anti-aging information has been added.